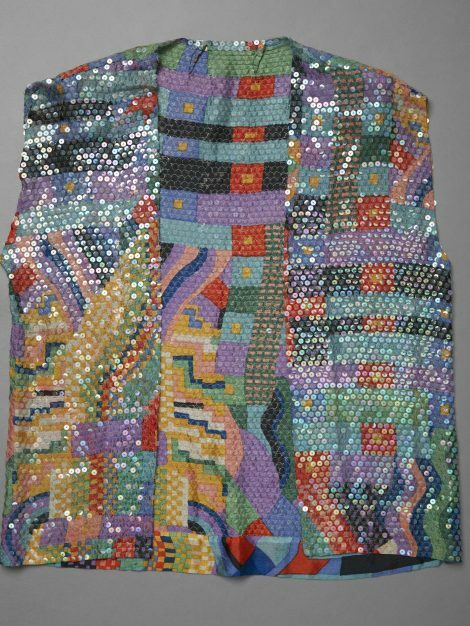 For some time after they were acquired from the collection of the late Shirley Russell a number of pieces of sequined silk in the Liberty design ‘Bauhaus’ remained a mystery. 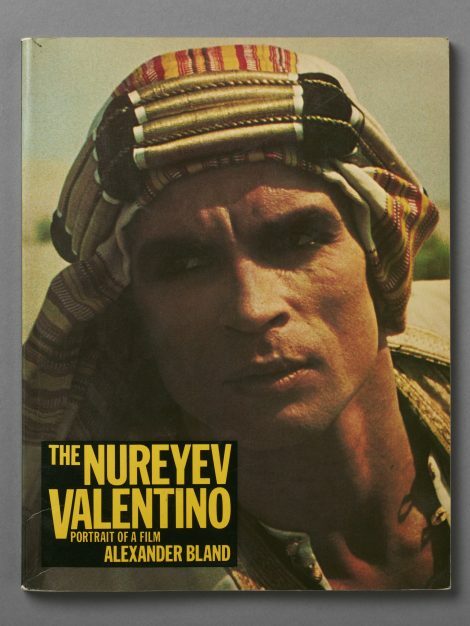 By chance, they were spotted as the components of a costume worn by the actress (and former member of the Mamas and Papas) Michelle Phillips in a still from the film Valentino of 1977. (See Additional images). 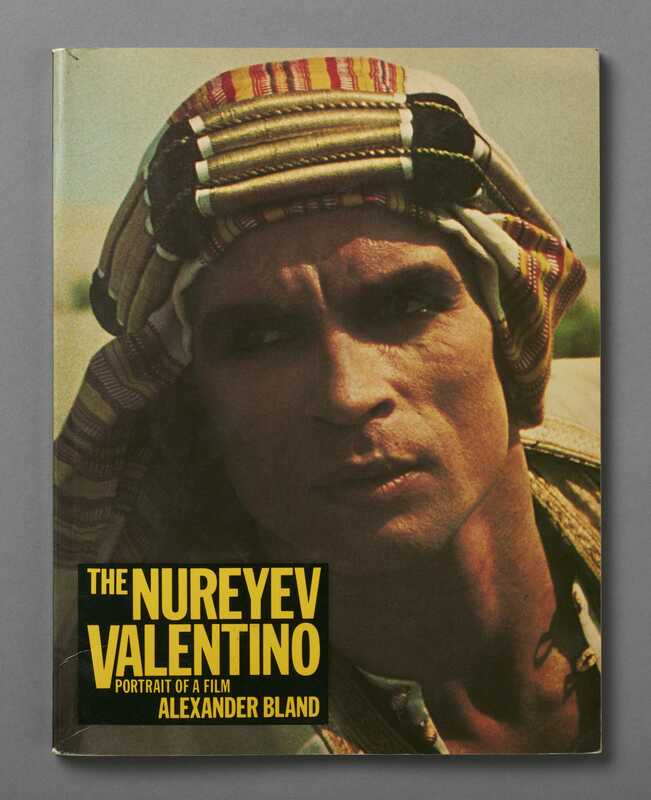 Valentino told the story of the silent-screen star Rudolph Valentino, played by the ballet dancer Rudolf Nureyev, and Michelle Phillips was cast as his wife Natacha Rambova. 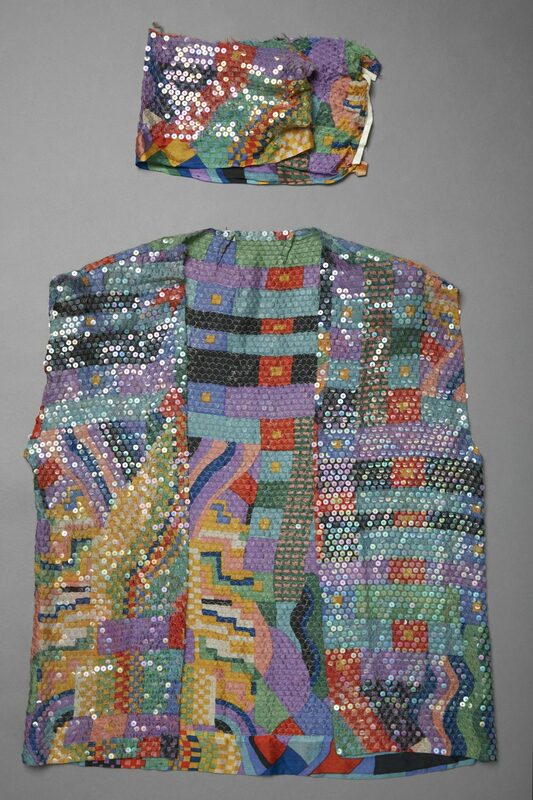 It was directed by Ken Russell, and his then-wife Shirley designed three hundred costumes for which she was nominated for a British Academy Award. 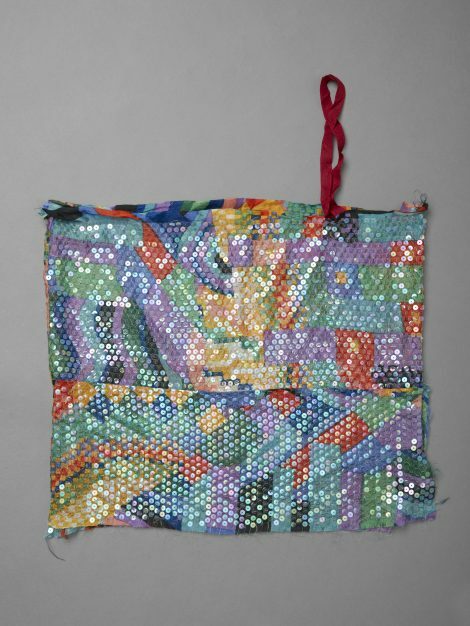 Liberty’s ‘Bauhaus’ fabric was produced for the company by the design studio Collier Campbell, closely based upon the ‘Slit Tapestry Red/Green’ of 1927-8 by Gunta Stölzl shown at the Royal Academy’s Bauhaus exhibition in 1968. 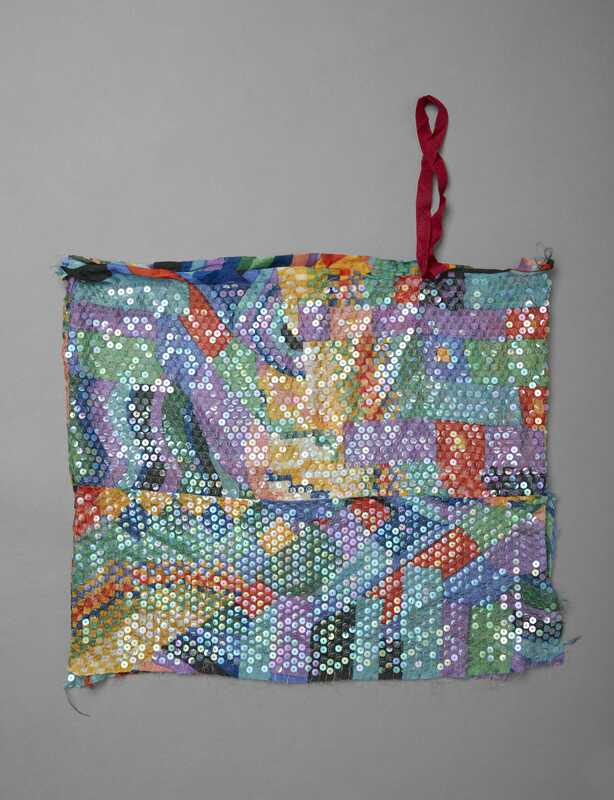 The design was extremely successful in a number of colourways, initially used for a silk head square in 1969, then furnishing fabric in 1972, and silk chinon to celebrate Liberty’s centenary in 1975. 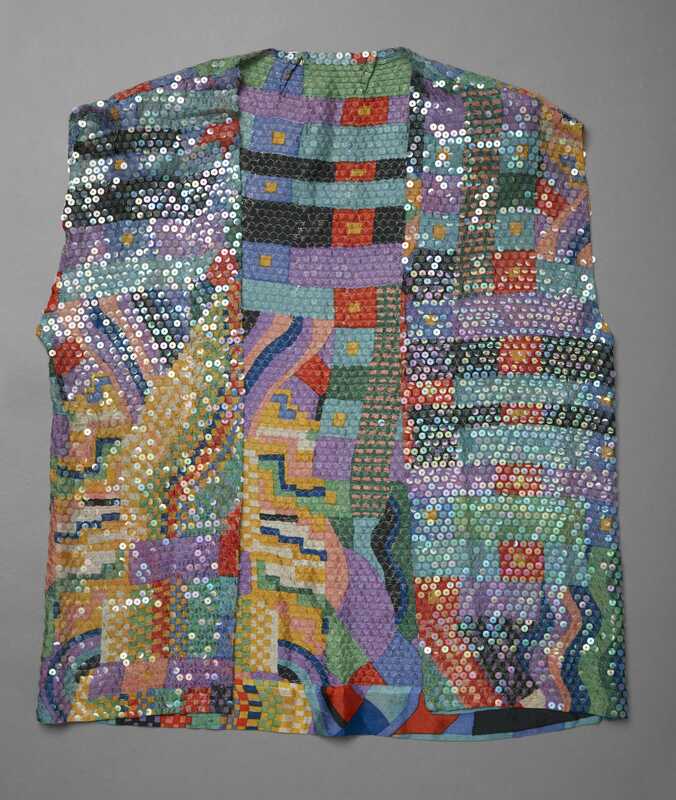 A sequined version was never produced commercially, and may have been ordered especially for the film by Shirley Russell.